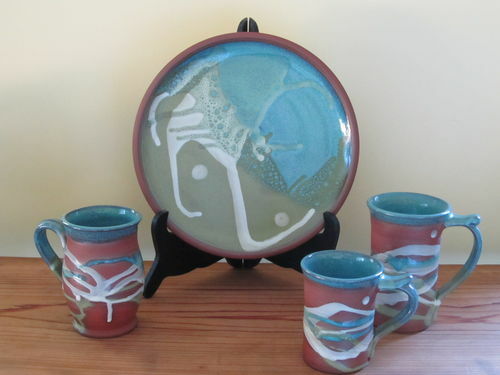 All my pottery is Handmade Functional Stoneware thrown on a potter's wheel and fired in an electric kiln. It is dishwasher, mircowave and oven safe. 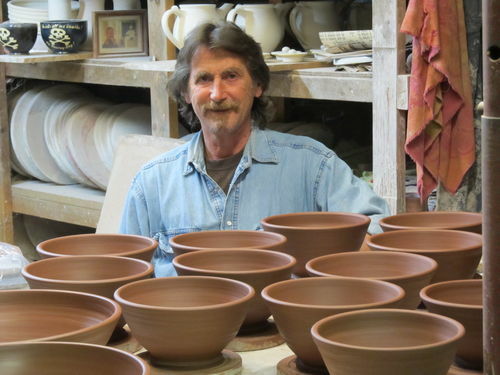 Art and Function come together to make pottery that is designed to be used every day. This large Casserole dish is made from Red Clay. 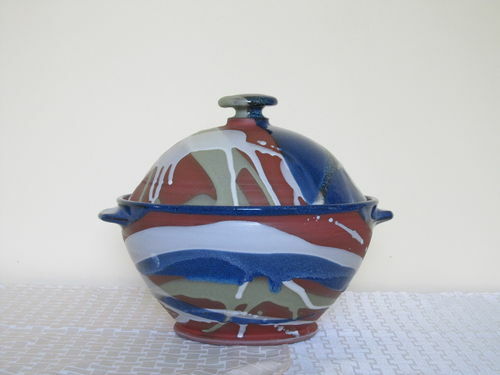 The inside of the casserole dish is completely glazed with cobalt blue glaze, while the outside is glazed in a design with cobalt blue, olive green and white glaze leaving some of the red clay exposed. This gives the casserole dish an interesting design and texture. and I will continue to do so, this way my customers can add to their collection now and in the future. If you are interested in dropping by the studio, please call before you come. 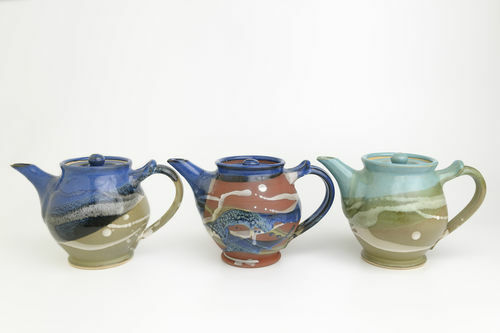 Tea Pots come in small, medium and large in a variety of colour combinations.